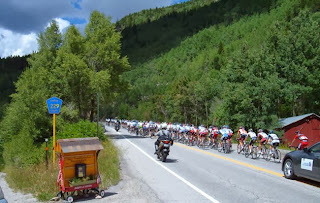 Plan now to see the 2014 USA Pro Challenge cycling race along Monarch Pass. Next year’s USA Pro Challenge bicycle race will feature its first mountaintop finish with a stage ending atop Monarch Mountain. With a base elevation of 10,790 feet, it will be the highest stage in North America. Concierge services at Ski Town Condos vacation rental keep your vacation planning time short and the variety fun! Enjoy lodging in the comfort of a 2 bedroom condo with log beds, down comforters, a full kitchen, washer/dryer, and hot tub in the gazebo. Call today to make your reservation at 719-539-7928. Stage 3: Wednesday, Aug. 20 - Gunnison to Monarch Mountain.